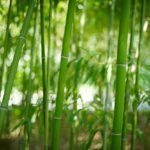 Bamboo has a reputation for being invasive and hard to control, and because of this, gardeners tend to shy away from it. This reputation isn’t unfounded, and you shouldn’t plant bamboo without first doing some research. 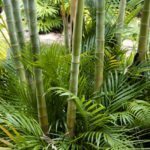 If you plan accordingly and pay attention to what variety you’re planting, however, bamboo can be a great addition to your garden. Keep reading to learn about different varieties of bamboo. Bamboo can be split into two general types: running and clumping. Clumping bamboo grows just as the name suggests – in a big clump of grass that mainly grows up and stays put where you’ve planted it. This is the recommended type if you want a well-behaved bamboo stand in your garden that you don’t have to worry about spreading. Running bamboo, on the other hand, will spread like crazy if not kept in check. 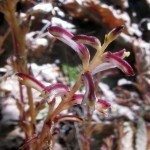 It propagates by sending out underground runners, called rhizomes, which send up new shoots elsewhere. These rhizomes can travel more than 100 feet before sprouting, meaning your new bamboo patch may suddenly become your neighbor’s new bamboo patch as well. And then their neighbor’s. Because of this, you should not plant running bamboo unless you know how to contain it and are willing to keep an eye on it. 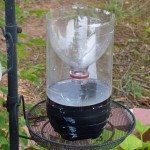 You can achieve a containing effect underground by surrounding the bamboo with metal sheeting, concrete, or a store-bought root barrier, buried a minimum of 2 feet below ground and extending a minimum of 4 inches above ground. Bamboo roots are surprisingly shallow, and this should stop any runners. You should still check on the bamboo regularly, though, to make sure no rhizomes have escaped. Planting your bamboo in a large above-ground container that does not rest on soil is a more foolproof option. Bamboo is an evergreen grass that has different cold tolerances for different types of bamboo. The varieties of bamboo you can plant outdoors will be dictated by the coldest temperature your area reaches in winter. The warmer your climate, the more your options you have for different types of bamboo.